I don’t post a ton of pictures up to my profile on Google+, but do a few here and there. Just one more place to share with friends. It has actually proven to be a great place to connect up with other photographers sharing different types of photography. I’m often in the different HDR group lists and chats, or as they call them on Google+, “Hangouts”. 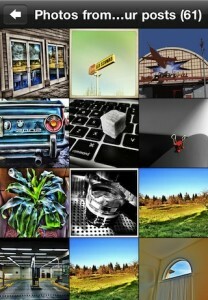 The recent update to the iPhone Google+ app is mostly around the framing of photos in the albums areas. Before, Albums and individual photos where surrounded with a white frame, very ‘Google’ like. Now, the Albums list went from two columns of square framed images to one row where a slim line of the Album’s cover photo is cropped. 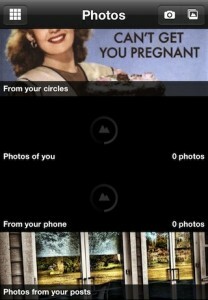 Clicking on an Album gives you a frame-less multi column view of your images. Notice how everything is dark/black outlined now too.